Hey New Kids, Buck from RedLynx here! Today, I wanted to showcase an awesome card (Robo Bebe) and give you all a few tips on how to use her in competitive play. Starting off, Robo Bebe is a 3-cost ranged unit and she has a unique skill. Similarly to her Adventure version, Buccaneer Bebe, Robo Bebe gets stronger after a kill. With each kill, her attack speed increases, which creates a sort of snowball effect, as her damage per second (DPS) increases with each kill, increasing the likelihood of another kill, which makes her stronger and that goes on. This does, however have a cap, as to not BREAK the entire game after she speeds up. Still, she feels incredibly strong and is a fun card to play. Any Sci-Fi user should be able to fit her into their deck and find that she will be a welcome addition to any fast-paced or anti-swarm decks you may have. Robo Bebe can be used with any combination that you would currently use with Sci-Fi. 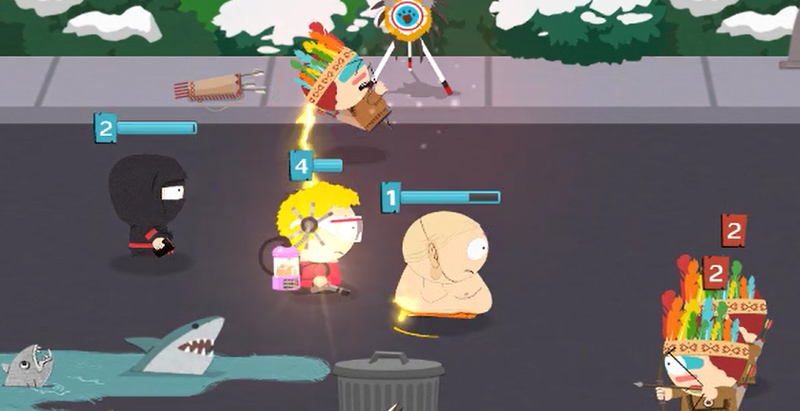 Some examples that I would use personally include placing a big fat beefy tank, such as Zen Cartman or Awesome-O 4000, in front to soak up some damage and place Robo Bebe behind to start dealing damage. This allows her to remain protected while she ramps up her ability by scoring the killing blow on various attackers. Be wary, however, as she will quickly ramp up her speed and outpace whichever tank you assign as her bodyguard! Another interesting and powerful combination would be pairing Robo Bebe with Gunslinger Kyle or Ninjew Kyle. Using the latter, would give Robo Bebe a rather sizeable attack boost, which only makes her ability to stack speed boosts even stronger. My third and final combo recommendation is pairing Robo Bebe with Robin Tweek. Anyone who tunes into our weekly livestreams knows how much Steve and I love Robin Tweek, and we frequently talk about different ways he can be used. Here, his job is to give Robo Bebe a solid health boost, in order to keep her alive and increase her damage dealing potential over time. Aside from the other card combos I mentioned above, using certain spell cards alongside Robo Bebe can also help her reach that MAX potential power. Starting her off with a Hyperdrive, to max out her speed and help her get those first few kills, can also be an interesting and effective combo. Also, utilizing the various ways to Freeze enemies can lead to easier kills, and thus a super quick ramp-up of her ability. I feel that Robo Bebe is a very good card with some amazing potential. When used smartly and with some strategic planning/deckbuilding in mind, she can have some of the highest overall DPS in the game, making her a threat to all enemies. 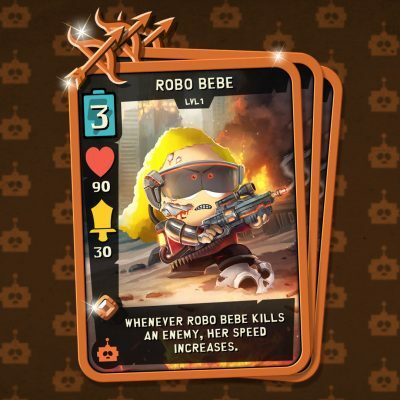 If you’re running a Sci-Fi deck, Robo Bebe is a must play for rapid offense! If you still haven’t tried her out, give her a go in Friendly Fights to test her out without risking your rank! 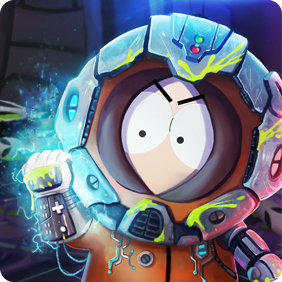 South Park Phone Destroyer™ © 2018 South Park Digital Studios LLC. All Rights Reserved. South Park and all elements thereof © 2018 Comedy Partners. All Rights Reserved. Comedy Central, South Park and all related titles, logos, and characters are trademarks of Comedy Partners. Game software © 2018 Ubisoft Entertainment. All Rights Reserved. Ubisoft and the Ubisoft logo are trademarks of Ubisoft Entertainment in the U.S. and/or other countries.